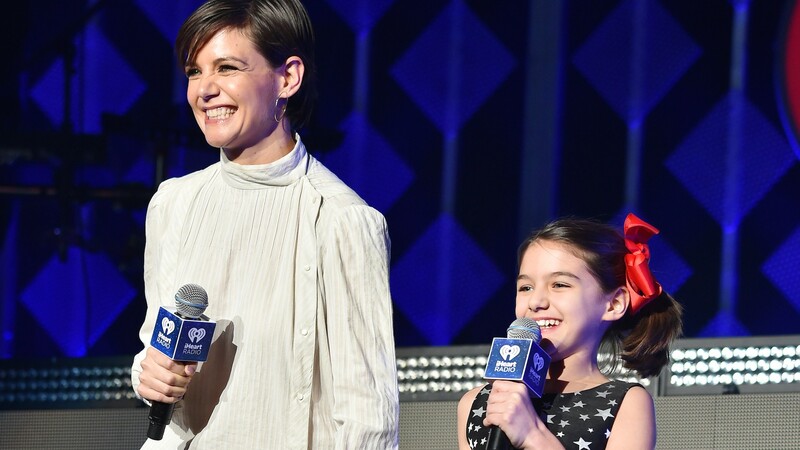 Suri Cruise and Katie Holmes made a surprise appearance at the 2017 Jingle Ball in New York City on Friday to introduce Taylor Swift ahead of her finale performance. More: Does Tom Cruise Have a New GF & Did Scientology Really Choose Her? Holmes took to Instagram to highlight the night with her daughter on stage. I’m pretty sure that if you are 11-year-old Suri Cruise, your Christmas has just been made by this moment. She even got to hang out behind the scenes with celebs like Charlie Puth, who posed for a picture Holmes also shared on Instagram. Check out the full video of the duo introducing Swift below. Normally, Holmes keeps her daughter and her personal life out of the spotlight. Holmes has yet to even publicly confirm her long-term relationship with Jamie Foxx, and she recently said giving her daughter a stable, innocent childhood is her priority. But Swift is clearly worth the spotlight exception.